General Van Fleet orders an attack on the two hills of Old Baldy and Pork Chop Hill. The American attack is successful but the Chinese launch a series of counter attacks upon Old Baldy which are beaten off. 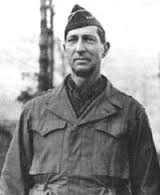 General Mark Clarke replaces General Ridgeway as the commander of American forces in the Far East. A review of the performance of General Ridgeway and a biography of General Mark Clarke. The treatment of the wounded during the Korean War.